A French Press is a device used to brew coffee. It’s typically a glass beaker with a plunger attached to a metal screen inside. The ground coffee beans are soaked in hot water for a few minutes and then separated from the water with the screen. People who use the French Press, typically love it for better tasting, easier to brew coffee. Check out one from Bodum on Amazon. A French press is sometimes called a press pot. A coffee plunger if you’re in Australia. It’s French name is cafetière à piston, sometimes referred to as just cafetière. It is a widely used tool for drinking delicious coffee all over the world. 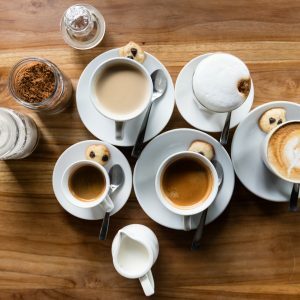 How Do You Make French Press Coffee? Let stand for 3-4 minutes. Now’s the time to take that picture for Instagram. Go ahead, you know you want to. Cleanup is simple. Dump the leftover grounds in your compost pile. Wash the pot with warm water and soap and let dry. 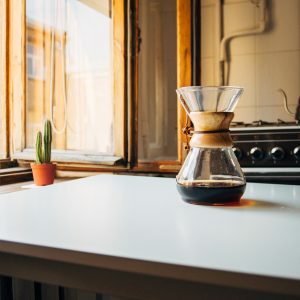 Remember, a clean pot makes better coffee. It’s All In The Grind. If you’re grinding your own coffee (and you should be) you want a nice medium to medium-coarse grind. Too coarse and you’ll clog the screen. 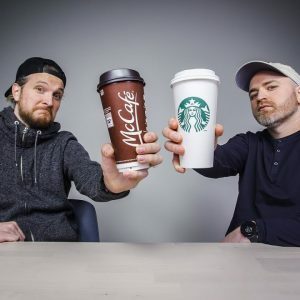 Too fine and it will pass right through and nobody wants chunks in their coffee. If you’re using a cheap grinder, it’s best to pulse it for a few seconds, and then stir up the coffee grounds and then hit it again till you get a nice even grind. A french press has several advantages over standard drip coffee. 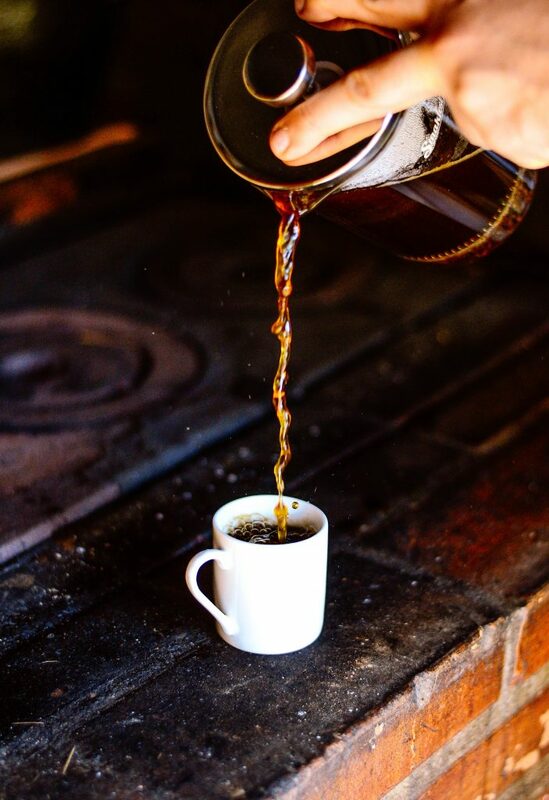 Letting the grounds soak in the hot water allows more time for the flavor and essential oils to be extracted out of the grounds, leading to more flavorful coffee. A french press doesn’t use any paper filters and just needs a little warm water to clean. 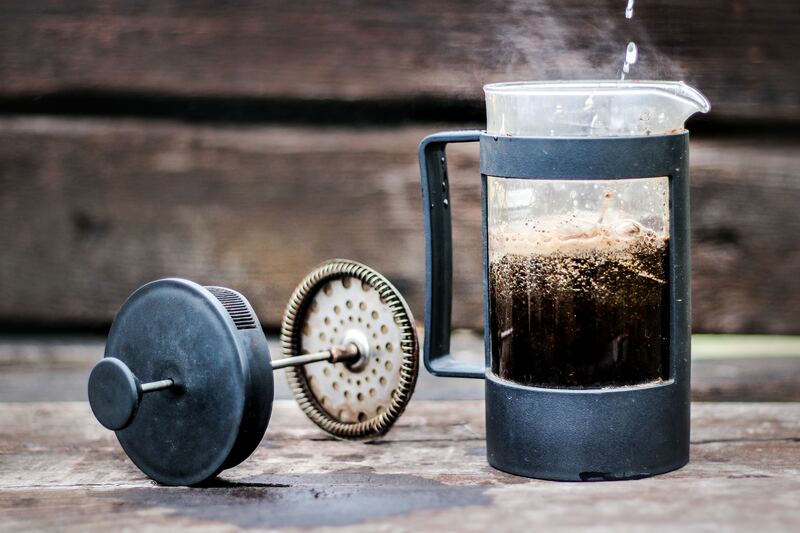 The french press is a (surprisingly) French invention from the early 20th century. Attilio Calimani and Giulio Moneta originally patented the press in 1929, although earlier versions were probably used in France. The first French Presses used a similar idea where a cheesecloth screen would just be pressed into a pot of boiling water and coffee grounds to separate. Modern presses are very similar to the original designs from the 1900s. 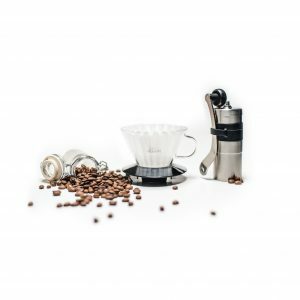 Most now are made with a glass or strong plastic beaker with a secure metal or plastic lid and metal strainer. Do you have a french press? 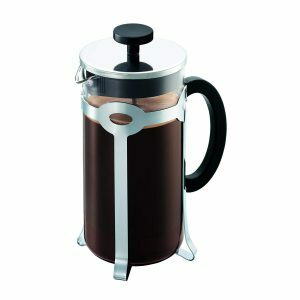 Have you ever used a french press?